Version I: Like Version II as shown, but with full text. 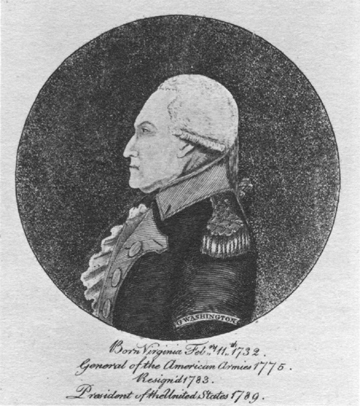 Version II: As shown, without engraver's name. Collections: Historical Society of Pennsylvania; New York Public Library. 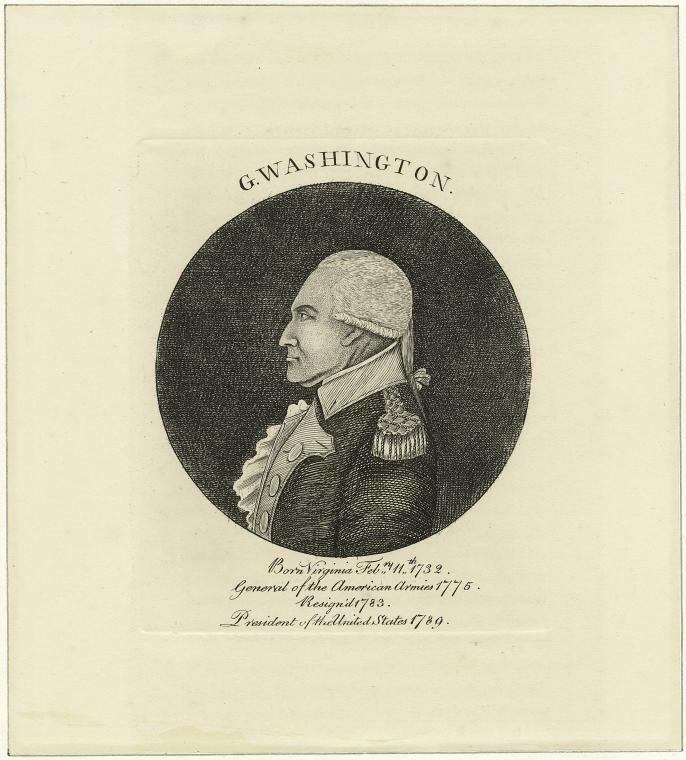 Version III: Like Version II, without ribbon and title on Washington's sleeve, and with title "G. Washington" etched in upper margin. Collection: New York Public Library. Notes: Hart says that Version III is a much later re-strike taken from a reworking of the original plate. This design by John Manly was utilized by Samuel Brooks as the basis for the first portrait medallion of George Washington produced in the United States. (Wick) The medallion was advertised in the Pennsylvania Packet on 3 March 1790; in September of that year Manly and Brooks advertised their presence in Boston for a one-month stay.